We are delighted to announce the seven books which have made the shortlist for the Bread and Roses Award for Radical Publishing 2014. The winner will be announced at the London Radical Bookfair, on Saturday 10th May 2014. 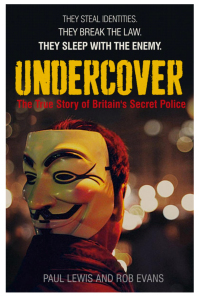 The gripping stories of a group of police spies – written by the award-winning investigative journalists who exposed the Mark Kennedy scandal – and the uncovering of forty years of state espionage. 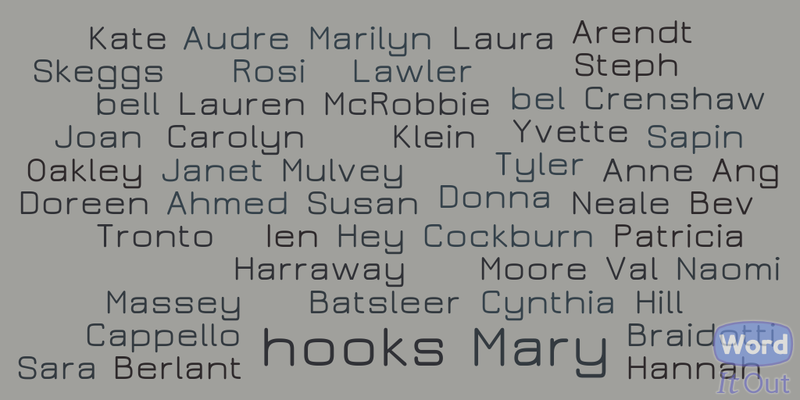 This term (inspired by a screening of the film “Woman, Art, Revolution”) the Centre for Gender and Women’s Studies at Lancaster created a hashtag #womantheory to encourage Twitter users to name the three women theorists who had most inspired them. This had an unprecedented response and continues to elicit new tweets. We now have a Twitter account @womantheory – follow us and tweet your selection. Kim Allen from MMU set up a wordpress site http://womantheory.wordpress.com/ for those of us who don’t use social networking sites. We ask you to tell us about why a particular woman theorist / thinker / writer matters to you: for example, how did you encounter their work? how did their work change the way you think about an issue? how do you use their ideas in your own work? It can be as long or as short as you like. 500 words would be great. You can be anonymous if you’d prefer.